Astrologer Sumanadasa Abeygunawardena Predicts Victory for President Mahinda Rajapaksa at Jan 8th Election. Astrologer Sumanadasa Abegunawardhana predicts that President Mahinda Rajapaksa will emerge as a winner at the next Presidential Election on 8 January. What is your astrological view on the date, 8 January, the Presidential Election is held? A: I see it as lucky for the President Mahinda Rajapaksa. There is only a brief period for the presidential Election. A: I speak of his luck not only at this election. When he initially contested for the Presidential Election too, I found that his date of birth was the day after the election. None of the Presidents of the world have had their birthdays as the date following the Presidential Election. It was 17 November 2005. (1+7=8) In 2010 also, nominations were handed over on 17 December. (1+7=8) The election will be held on 8 January. (8) The constitutional amendment was done on 8 September 2010. Resembling the digit 8 to his successes was not planned but purely circumstantial. He faced the next election two months and 20 days after finishing the war. His party achieved 82% at that election. This election will be held in 2015. It was not selected by us. 2+1+5=8. It is random. Date is also 8 January 2015. Date and the total of the digits of the year are 8. Do you mean number 8 is the lucky number of President Mahinda Rajapaksa? A: It is immensely fortunate. 2004 general election was held on 2nd April as I remember. President Chandrika Bandaranaike was to nominate Lakshman Kadirgamar as the Prime Minister on the request of the JVP. She was in two minds regarding appointing Mahinda Rajapaksa as the Prime Minister and invited him eventually to assume duty on 8 January. Lucky persons get their lucky numbers naturally. The luck for lottery draws is also like that. But we did not have time at this moment to think of these numbers. This is a Presidential Election held in a short period of time. The numbers matched without effort for the President’s luck. He announced the Presidential Election to be on 20th November. Did you give a good time for announcing the Presidential? Did you ask him to do it on 20th November? A: We did it according to the horoscope. We give only two-five percent strength from the side of astrology. The rest 95% is decided according to his massive inborn luck. The majority of Sri Lankans believe in astrology. They follow astrology for everything. There is a community that study astrology. Each weekend newspaper gives space for astrology. President Mahinda Rajapaksa follows all traditions of Sri Lanka. He starts work for the Sinhala New Year and worships his elder brother Chamal Rajapaksa at his house. That is our tradition. We have not seen this custom from any head of State in the world. What was the auspicious time the Presidential Election was declared? A: It is a very good time. I don’t want to speak of it further. It is good. That is all. When we are given a date, we identify the best time for the President. I said earlier also that the President who ended war had great power. We contribute small power from the side of our profession. What is your astrological view regarding this Presidential Election? A: The President will be re-elected for the third and fourth times as well. What is the reason for stating that he will be re-elected for the fourth time as well? A: He has the planetary positioning suitable for a very great leader. A: He has been born in the house of Virgo. During the past 66 years after the independence, the country was ruled mostly by the individuals born in the house of Virgo. 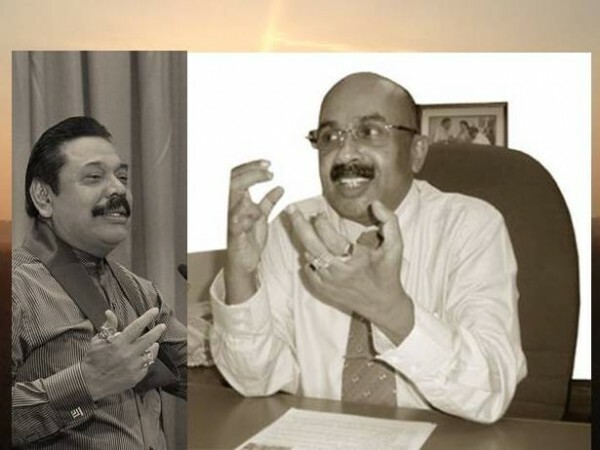 Dudley Senanayaka, Sirimavo Bandaranaike, J. R. Jayewardene and Mahinda Rajapaksa were born in the house of Virgo. D.S. Senanayaka and Sir John Kothalawala were born in the house of Gemini of which Mercury is the chief. President D. B. Wijethunga who became President due to his luck was also born in the house of Gemini. The holders Virgo and Gemini house which are under the leadership of Mercury have led this country continuously. President Premadasa was Aries and S. W. R. D. Bandaranaike was Aquarius. All the others were Virgo and Gemini dominated by Mercury. Is it clear now? President Mahinda Rajapaksa has a very strong planetary positioning Yoga called Chandradhi which none of the previous rulers had. A: Good planets are positioned in 6, 7 and 8 of the Moon’s house. The Moon is at 6 with Jupiter. This is a very strong planetary positioning that wipes out all the evils. In Moon’s 6th position, there are great powers. Venus is in the 7th position of Moon very strongly positioning as Libra. His chief of the House Mercury is situated in the 3 position of Moon as per the Prashshreshtatha Mula Thrikona power. It is coupled with the king of the planets, the Sun. This is the powerful Chandradhi Yoga and Jupiter is at the 11 position in the peak. These positioning provide anyone with all expectations. His Jupiter came to the highest position at 8:46 a.m. on 19 Thursday June. Shift of Saturn took place on 02 December. It shifted to his 3 position. Everybody knows that 3rd position is very good for Saturn. The Jupiter which gave strength to that Chandradhi Yoga is in the fifth position and sees the Saturn. What is your astrological prediction considering all these factors? A: The President will win the Presidential with bigger majority vote than the previous Presidential. According to astrology, this is an easy victory. According to his luck, this is easier than the first and second Presidential Elections. He has received good days due to his luck. You were seen in media coming to meet the President when he left for handing over nominations. How did you prepare the auspicious time for handing over the nominations? A: It is a very powerful auspicious time. The time 10:20 a.m. was the best time of the day. There were two strong Yogas at that time. What about the time the nominations were handed over? A: That again 10:48 a.m. was a strong time the bird becomes king. What is meant by the bird becomes king? A: There is another doctrine called Pancha Pakshi. His bird is Bherunda. That time was that bird’s. It was the best time according to astrology and other aspects. We saw in media that the President handed over nominations from the left side of the Election Commissioner. Was it according to astrology? A: Last time too he handed over nominations in that way as the head of state. That direction is also good. There is no error. Are there auspicious times for the first meeting, to cast vote and to go to the last meeting as well. A: Yes. We have found auspicious times for all these. I said earlier also we give a small push. The President has great-inborn power. He got ten times than he got in the first time. No head of state of the world has recorded such victory in the second time. It is clear he will record a greater victory in the third time also.